The area known as Montezuma, about 20 miles southeast of Fairfield in Solano County, is unassuming. It’s surrounded by former tidal wetlands that are golden-brown and its south end is bordered by the California Delta. This is where two major rivers meet: the San Joaquin River and the Sacramento River. Over 100 years ago, Montezuma and the surrounding areas by the Delta were lush tidal wetlands filled with wildlife. But, like so many areas in the bay, the wetlands here were drained for farming and ranching. Measure AA, a nine-county parcel tax approved in 2016, allocates $1.6 million to help restore more than 600 acres of tidal marsh, enhance the upland areas of the marsh and re-establish the endangered fish nursery. But that step of the restoration project will have to come after a lot of preliminary work. Project head Jim Levine first needed to figure out a way to fill up the stretch of land in Montezuma, which had fallen about seven feet below sea level. If the area were to be restored without elevating it first, says Levine, it would essentially just become a pond and have none of the environmental benefits of a tidal wetland. Levine found a solution beneath the bay—in the form of dredged sediment. 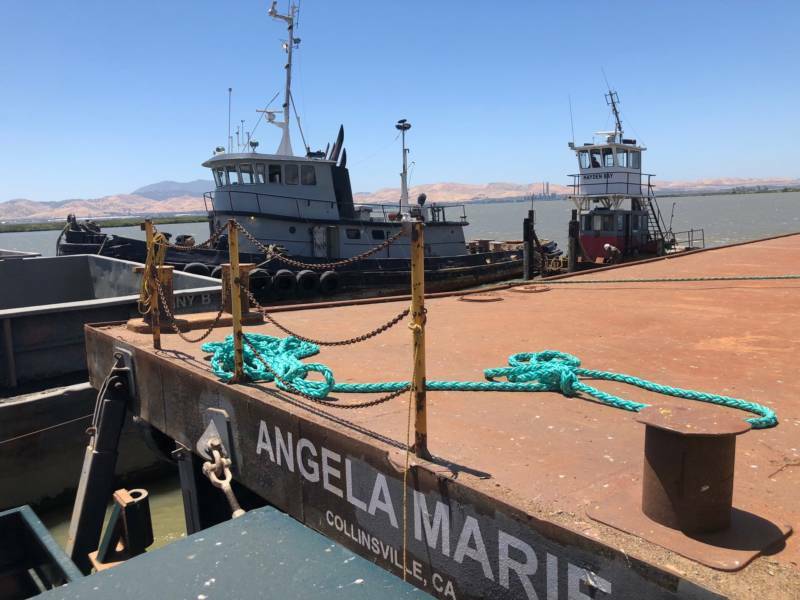 Since 2003, Levine has partnered with the Port of Oakland, the Port of San Francisco, the U.S. Army Corps of Engineers, Chevron and other smaller ports along the bay to direct their dredged sediment to Montezuma. 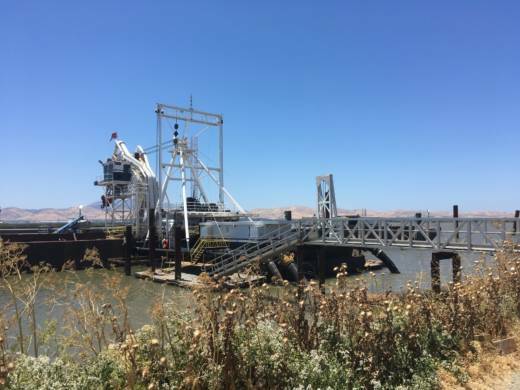 An off-loader machine, docked on the Sacramento River and powered by two 2,500-horsepower electric motors, pumps the sediment through a series of large pipes to the surface of the drained wetlands. Levine says the off-loader can pump up to 20,000 gallons of sediment per minute. Levine hopes to re-introduce these raised wetlands to tidal flow in late 2019. And, according to Levine, there’s one more added benefit from using dredged sediment: dumping the material in Montezuma means the sediment won’t be disposed of in the ocean where it can oxidize and release contaminants.